Fly high and stay dry or fly low and in you go. Jump on board this specially designed parasail boat for the experience of a lifetime. See Surfers Paradise from a bird’s eye view, as the clear blue waters flow 100 metres beneath your feet. With the iVenture Card, you can fly tandem and share every special moment of this experience. Parasailing is the perfect activity for shared memories, which makes it a wonderful outing for friends, families and couples. When you are up in the air, take the time to admire the stunning Surfers Paradise coastline. You may also be able to spot some of the Gold Coast's marine life, including schools of fish, waterbirds like pelicans and even dolphins, sea turtles or perhaps a dugong. Parasailing is a disability-friendly activity. 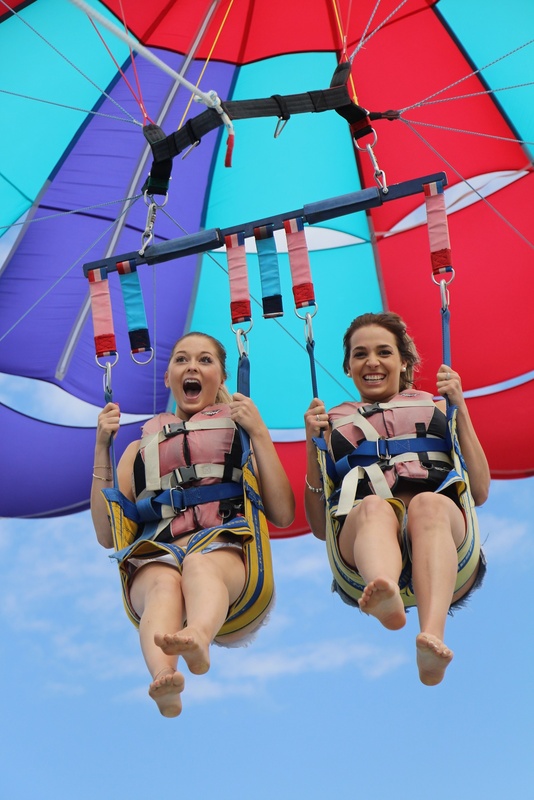 They can easily accommodate the needs of a guest with impairment to ensure they have the opportunity to experience the wonder of flight, and the beauty of the Gold Coast area.